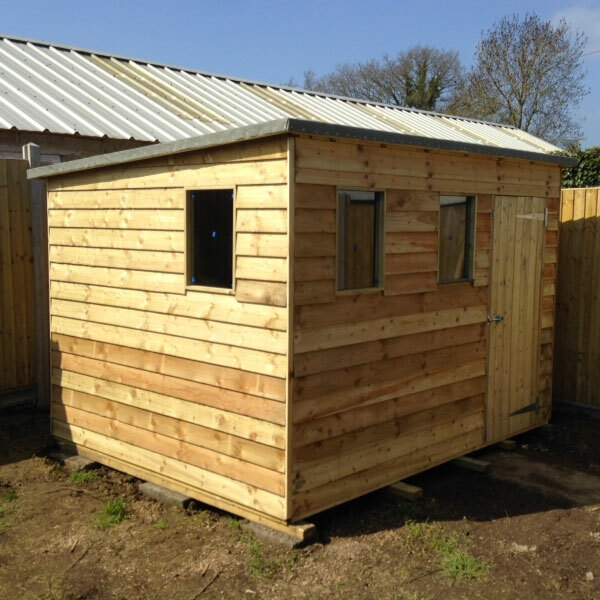 Offering bespoke sheds in Kent, Four Seasons Fencing are a specialist shed builder based in Ashford providing customers with an entirely custom shed building service. Whatever specifications you require, our specialist team of designers and builders can make any-sized garden shed with any custom alterations you may want. We also provide a standard shed building service which allows you to choose from our most popular garden shed options with either an apex or pent roof. 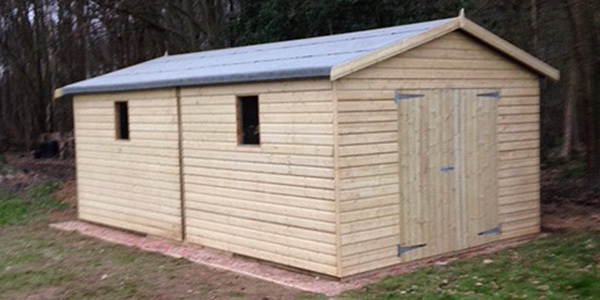 Looking for Bespoke Sheds in Kent? We offer two standard garden shed varieties with either apex or pent roofs as well as a completely bespoke shed building service in which we can take your exact dimensions and build any type of shed you require. Installing perimeter security fencing and cantilevered sliding entrance gates with access control to a new commercial development such as a factory, school or industrial units. Installing internal fencing throughout commercial sites such as divisional fencing for units, access gates, keyclamp for walkways, Armco safety barrier to protect buildings or to create safe walking routes. The roof and flooring are then made from 16mm finished size tongue and groove timber for added strength and durability. The sides are then cladded with 16mm finished size shiplap or 22mm weather boarding, both adding a nice, professional finish. All sheds come with roofing felt for increased waterproofing and we can also supply/install hard-wearing glass for the windows wherever required. Clad Sides with 16mm Finished-Size Shiplap or 22mm Weather Boarding. 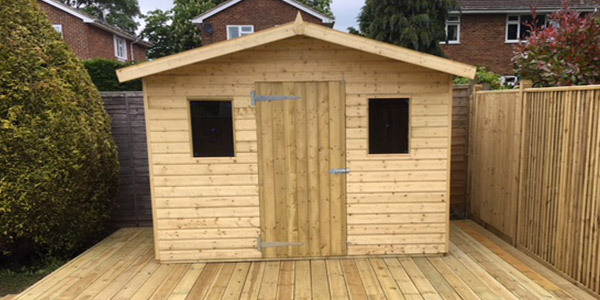 We can also offer a shed installation service in Kent (cost depends on size of shed) to ensure the shed we’ve handmade for you is then professionally installed onto a pre-prepared base. If you would like to discuss your bespoke shed with one of our specialists then please get in touch using any of the following methods.